The Tree Lot is open daily starting Saturday, Nov 25th. Updated Tuesday November 21, 2017 by Scott Hadley. 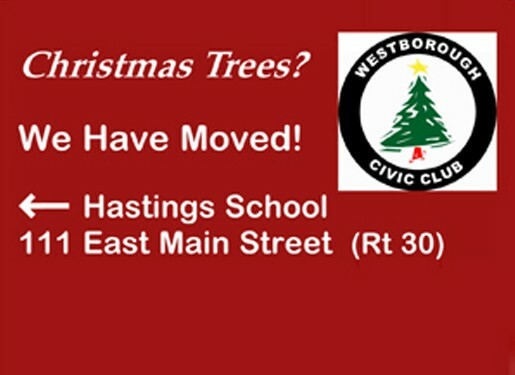 Westborough Civic Club is a registered charitable organization established in 1975 for the sole purpose of benefiting the town of Westborough and its residents. Club members volunteer their time to allowing all proceeds from sales to be returned to the community. More than 40 years of fundraising! Hope to see you at the Lot!